Choosing the best hot hatch is not tough now as there are many choices around. So with Volkswagen's recent facelift for the Golf R, how does it do? 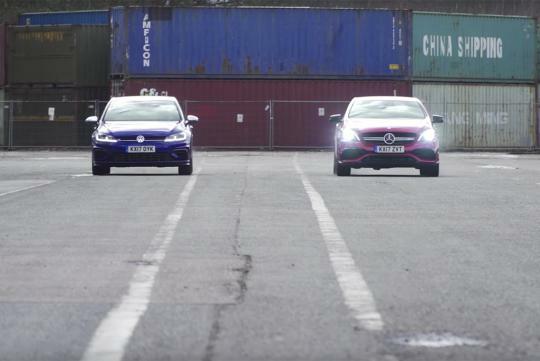 Shot by Autocar, the team takes the new Golf R and puts it in a group test with the Mercedes-AMG A45. There is no doubt the AMG is the faster car with an advantage of more than 60bhp, but does faster equates to a better car? Watch the video and find out! AMG still out runs every 2.0 hot hatch. The fact that it is still hand build for the engine is where the cost went to.